My beloved K-5, may she always be remembered. A memorable time, celebrating a birthday at a gathering in Brisbane, when my wife had secretly hired a cake maker for the occasion. Last edited by Ash; 01-28-2019 at 12:53 AM. The K-5 has probably given you years of pleasure but your birthday treat must have really been the icing on the cake! Thanks Mark. Kudos to the cake maker my wife chose for the project. This needs to be exposed like those dark "leaked" photos of new cameras. 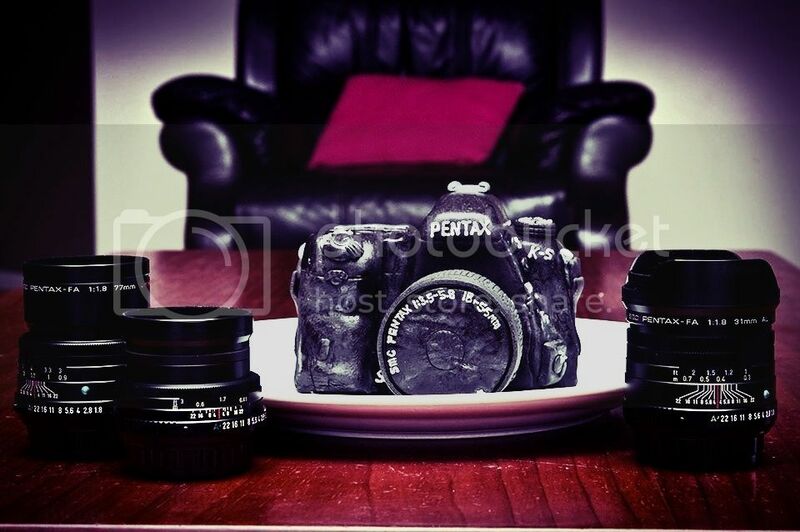 Pretty good though, at first look I thought this was the pentax someone forgot in the microwave oven. Very nicely done. Black icing is pretty hard to get right. Wow! As I was reviewing the initial photos, I thought you lost the camera in a fire, and then to see chocolate cake. Red Velvet, and it was quite delicious. But yeah, it looked like one messed up real camera, but since it was presented on a platter own my birthday, I didn't go into shock when it first came into view. Happy Birthday Ash.....BUT....you ate it !! .. ..all of it ??!! 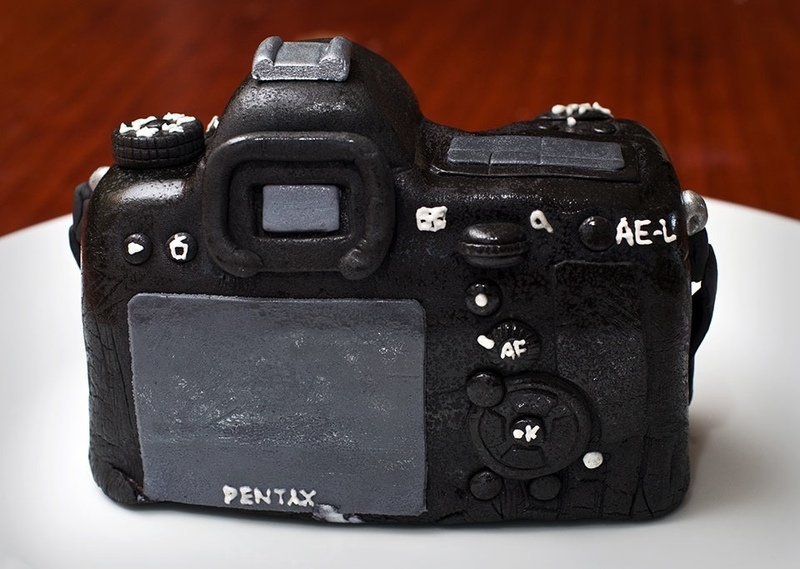 I bet the AF was worse than the Nikon cake. Happy Birthday Ash.....BUT....you ate it !! ....all of it ??!! I tried, but the internal mirror was a little on the crunchy side.